Summer is coming! What a better time then to get local and support local. What better time than to support #handmadetoronto! 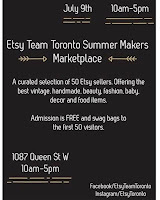 Join us July 9th, 10am-5pm, at the historic Great Hall in the heart of Queen West. Where we have rounded up 50 of Toronto's best Etsy Sellers. 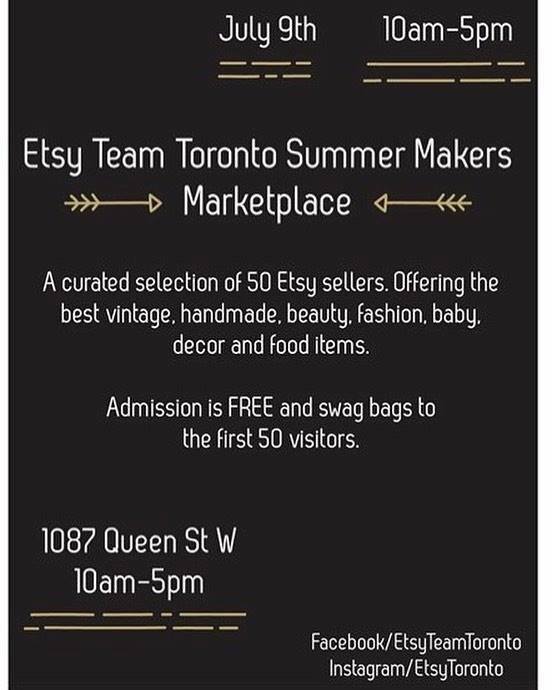 Find all your favorites and meet some new ones at our Markers Marketplace presented by Etsy Team Toronto. Admission is FREE and FREE Swag Bags for the first 50 visitors. Find the latest fashion, art, handmade and home decor goods being made by sellers right in your city. On two floors, this is the place to be for quilts, jewelry, candles, cards, plants, soaps and a lot more!